Around 20 years ago, I saw a tramp waking up in a garden square in London. As he stood up to move on, he bent over and began smoothing the flattened grass where he had been sleeping, combing the green blades through his fingers, as if to make sure he had left no permanent mark, had done no lasting damage. Only when the grass was just as he had found it did he walk away. It was an extraordinary gesture of delicacy and compassion, from a man who had nothing; and it's an image that somehow resonates today when architecture is questioning its relationship to materiality and nature. A growing number of architects and engineers are experimenting with structures that focus on lightness, mobility and transience. At the other end of the scale, the grand urban gesture making its permanent imprint on the visual identity of a city, continues to play a vital role - even more so at times of austerity, when a dramatic feat of design and engineering can resemble a deft move in a poker game, instantly restoring both image and confidence. Significantly though, some of best-loved landmarks were never intended to be permanent. The Eiffel Tower, for one, designed by the company of a bridge builder as a temporary iron lattice structure for the 1889 Paris Exposition, was meant to be dismantled in 1909, and either moved or demolished. It took time to prove its worth, in engineering, scientific and human terms, becoming directly linked to advances in science and aviation, and above all, symbolising the Parisian spirit: the lift cables, for example, were cut by the French Resistance during the Nazi occupation, but restored within hours of the liberation. 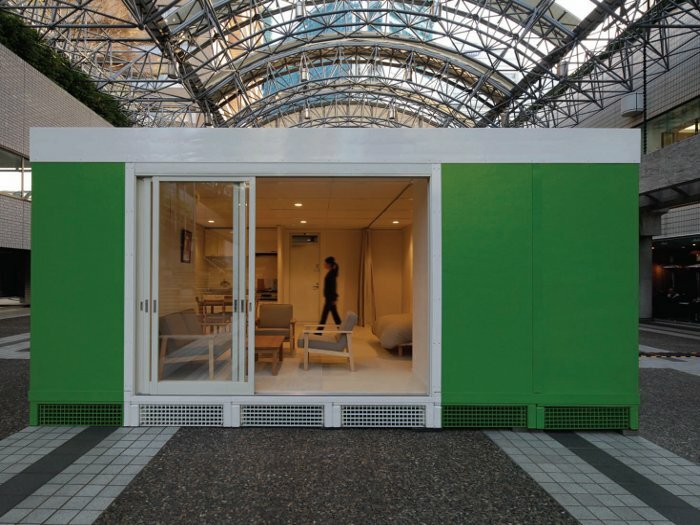 This worth developed in Paris like an intimate journey, giving it a permanence that corresponds to the words of Japanese architect and humanitarian Shigeru Ban, also a bridge builder, but in cardboard rather than metal. His first paper church, in Kobe, Japan (1995) - built in just five weeks using beer crates and cardboard tubes - was dismantled in 2006 and donated, as a symbol of friendship, to Taiwan: 'It is whether people love a building or not [he might also have said 'need', in a spiritual, not only material, sense]; this is what gives it permanence.' (The same might be said of the London Eye.). Ban's is a philosophy that reinterprets the line between temporary and permanent, and taps into the innate flexibility and fragility of human experience. 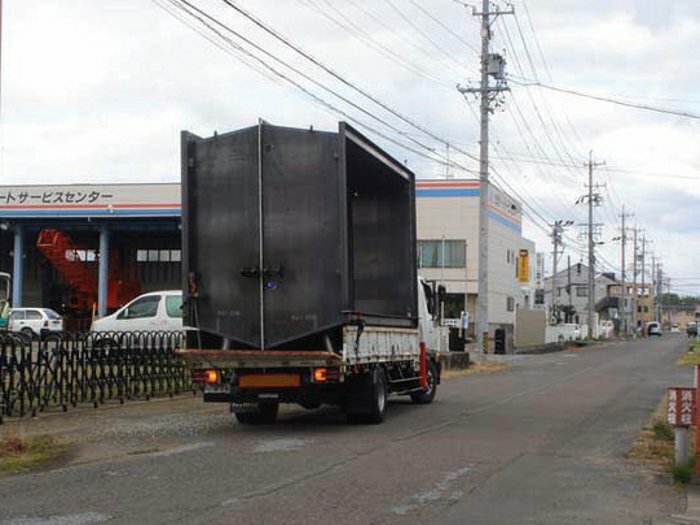 It acknowledges the need for powerful architectural symbols ('monuments that are beloved by people'), but meets the impermanence of existence head-on, with weakness rather than strength - cardboard (or other 'humble materials' such as wood or membrane) rather than concrete; like the Japanese fishing boat that scaled the tsunami wave in 2011. 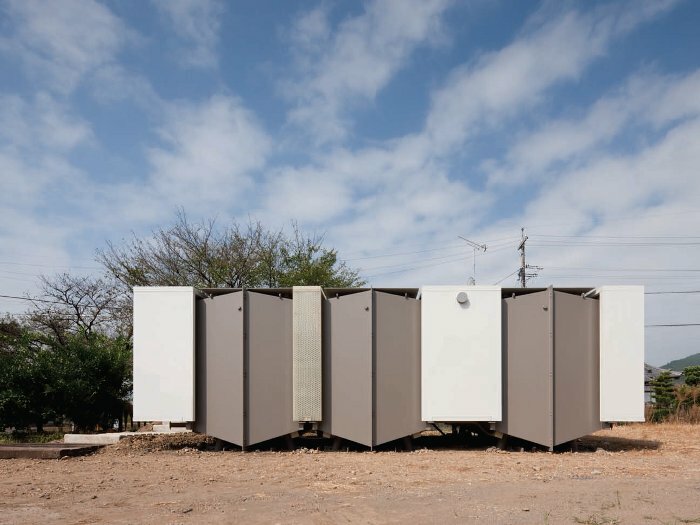 He has since designed innovative threestorey disaster housing in Japan, using a chequerboard pattern of shipping containers and paper tubes that may, if residents wish, become permanent. In 2013, he travelled for a second time to China's earthquake-stricken Sichuan province with Japanese students (a profound gesture of friendship given the countries' shared history), to design a cardboard nursery school, now under construction. Speaking to him in December about this project in his bustling Paris office - full of cardboard chairs and cardboard bookshelves - his excitement was tangible. He is clearly driven to help ordinary people (he had just sent off a prototype design to the Philippines), and his stubborn insistence on the power of the temporary is now leading him to address wider issues regarding social housing and changing urban infrastructures. 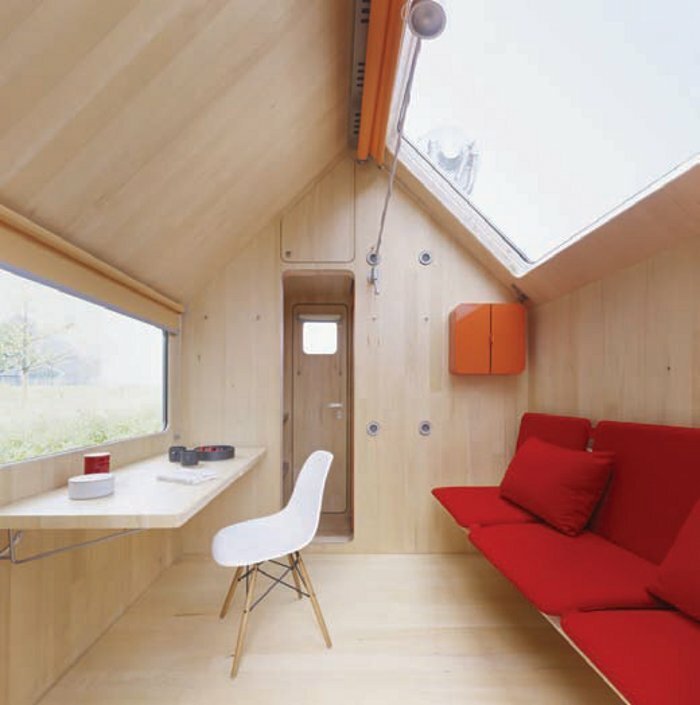 Among his new projects is a 'temporary housing system' made from fibre-reinforced plastic (FRP) - a light, graceful living unit that can be adapted in its specifications and floor planning to suit different countries, lifestyles, climates and economic levels, providing the simple beauty and privacy that Ban sees as universal human needs. It's an ongoing project, he says, aimed at post-disaster situations, but also at council or social housing around the world. 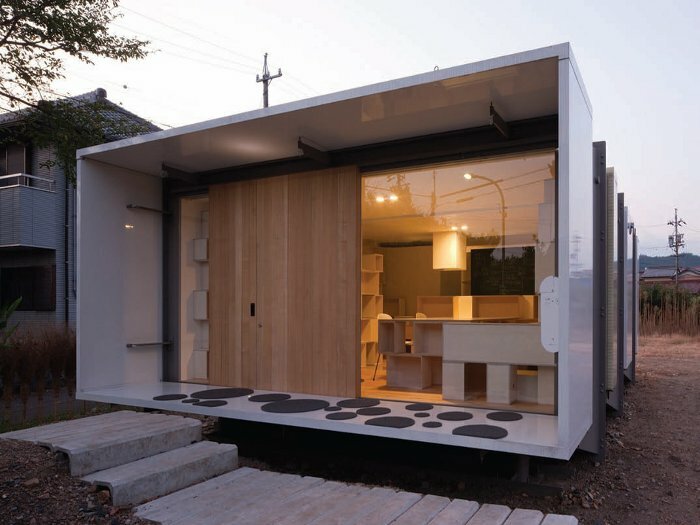 The use of shipping containers is certainly on the move: in 2011, Daiken-Met Architects designed a three-storey office in Gifu, Japan, comprising containers in a mobile steel framework (with construction-site plywood storage systems) - a prototype for the nomadic use of urban spaces that have been left vacant or derelict. A more high-profile experiment has been the Boxpark pop-up units in London's Shoreditch - recently endorsed by Richard Branson, who launched his Virgin Startup for young entrepreneurs there in November, and now the model for other pop-up units in Paris (2013) and Vienna (40Bloxx, early 2014). One architect more used to the grand urban gesture is Renzo Piano, but even with his permanent structures he speaks of pursuing a lightness and immateriality, comparing the mathematical precision and aerodynamic transparency of The Shard in London, for example, to 'the condition of music' or poetry. He talks about a desire 'to float, to fly', and 'a way to be' - a static soulmate perhaps to Sou Fujimoto's Cloud Pavilion at the Serpentine. This fascination with movement and transparency, which Piano traces back to the water of Genoa in his childhood, has found expression in his public work over the years, in particular the design of concert halls and his collaboration with composer Pierre Boulez in Paris (1978). 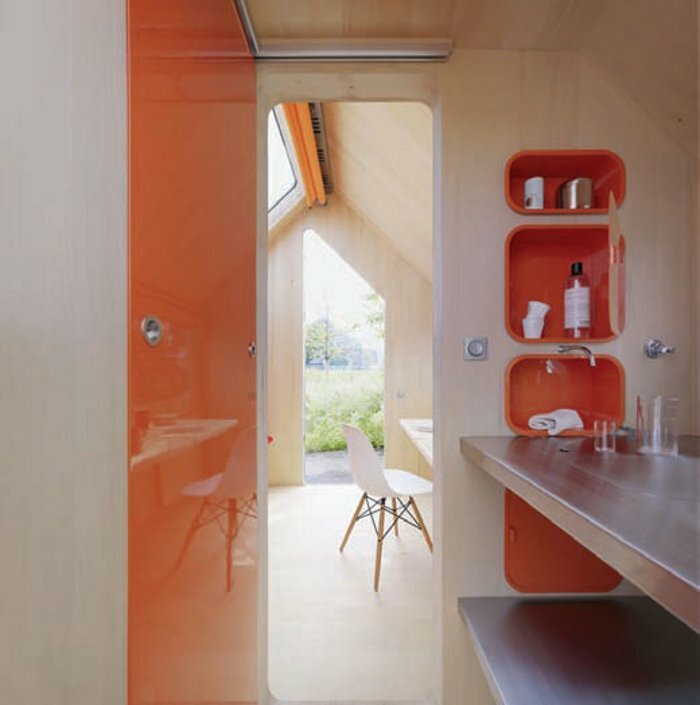 But in 2013, he took a further step by fulfilling a very personal dream, a 'long journey' towards designing a 'refuge'. It was initially self-funded, but now with the financial backing of Vitra. 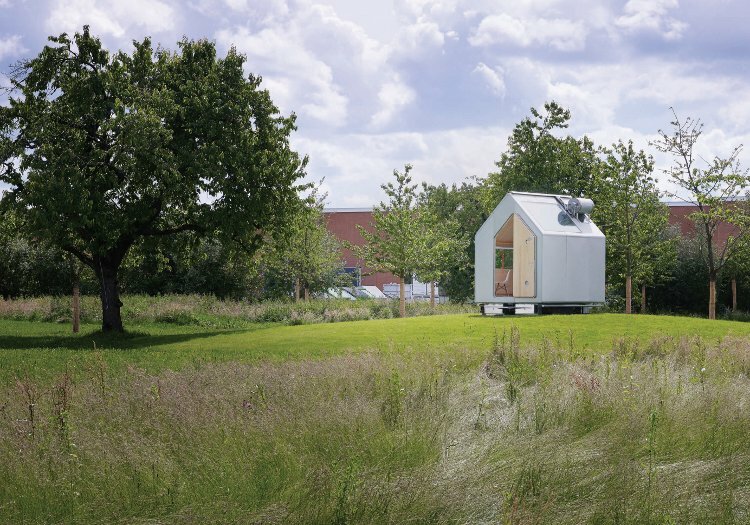 A mobile 'living unit' named after the Greek philosopher Diogenes (whose extreme asceticism led him to find shelter in a large ceramic jar), Piano's tiny mobile and fully self-sufficient 6 sq m house places an emphasis on individual rather than social needs. It is self-moderating and, in that sense, a privileged place of 'spiritual silence', he says, that has been developed by the Renzo Piano Building Workshop in Paris, with engineers and technical specialists, including Matthias Schuler from Transsolar and Maurizio Milan, an expert in static equilibrium. Citing Le Corbusier's Cabanon, the prefabricated house structures of Charlotte Perriand, and the Nakagin Capsule Tower by Kurokawa as influences, Piano has designed this single, portable wooden unit clothed in aluminium This is independent from the local infrastructure, with photovoltaic cells and solar modules, vacuum insulation, a rainwater tank, biological toilet, natural ventilation and triple glazing. It's a slick expression of personal freedom: a desire to withdraw, as evidenced by Vitra's statement that communication 'will take place elsewhere'; and driven, as Piano says, 'by dreams', but also by 'a scientific approach'. Unusually for Vitra, Diogene was tested out on the public at Baselworld (2013), and the company has been assessing the response, mainly from individuals and hotels. The latest news is that Vitra is working on 'the industrialisation of Diogene and hopes to be ready with the product in autumn 2014.' (Prices will range from €20,000 to €50,000.). 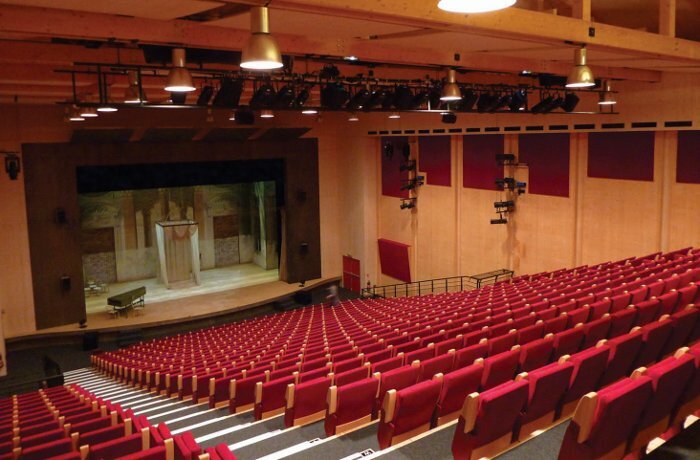 Just as music is ephemeral, so theatre is a transitory, travelling art form. 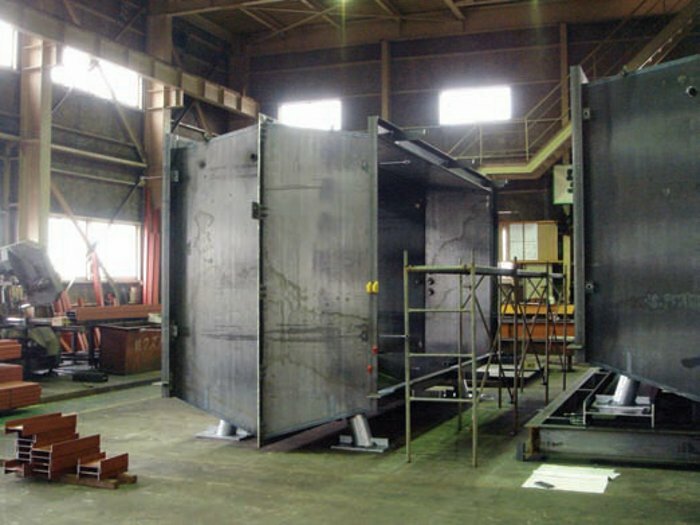 It's therefore fitting that two recent projects have matched temporary, mobile structures to performance. 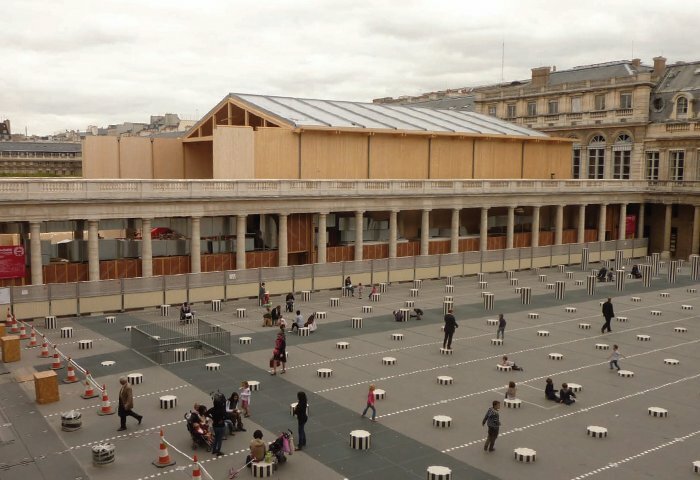 In Paris the forced closure of the Comédie Française for renovation (2012) initiated an intimate reflection on the building's history and also a reinterpretation of what it is to be 'temporary' (in 1787, a wooden theatre was built in the Palais Royal during the construction of the Comédie Française, and then demolished in 1790). 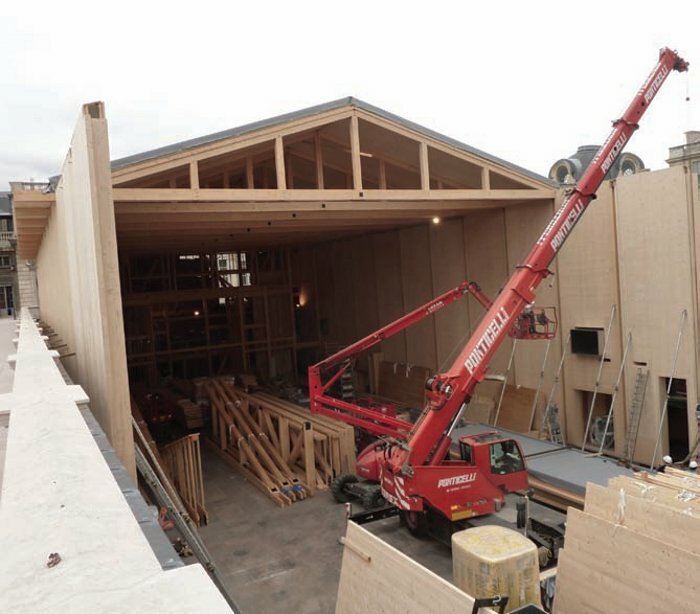 For architects Alain-Charles Perrot and Florent Richard, the 'unexpected, exceptional' commission to build a theatre in the heart of Paris (the first in 25 years) led to something 'intellectually satisfying', 'a tool of wood' that would never be demolished, but instead would be 'removable and reusable'. 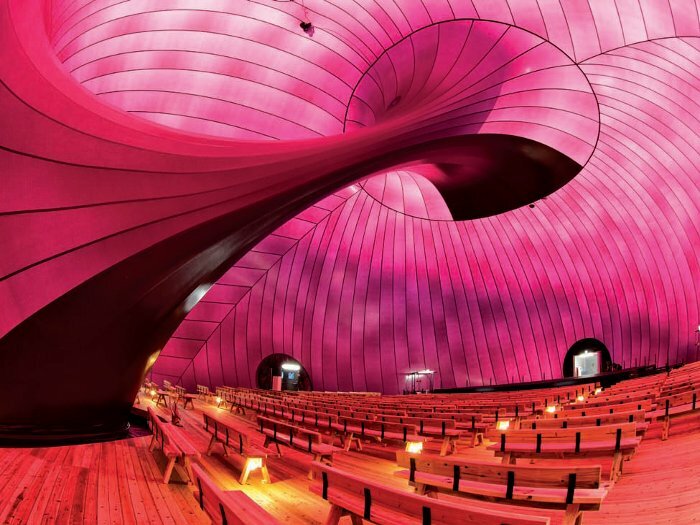 A more fluid, fast-paced and humanitarian solution to the nomadic theatre has been devised by architect Arata Isozaki and sculptor Anish Kapoor -- a balloon-like membrane called the Ark Nova. It began life at the Lucerne Festival (summer 2013) before travelling through the Tohoku region of Japan, taking performances of music and theatre to people whose lives were torn apart by the 2011 earthquake and tsunami. It is intended to aid 'the rebuilding of culture and spirit', like a colourful suitcase of hope and shared joy, going beyond the first basic needs of shelter and materiality: a kind of portable medicine cabinet for the spirit, or magic carpet turned container, touching down lightly on its travels, and transforming the ordinary into the extraordinary.